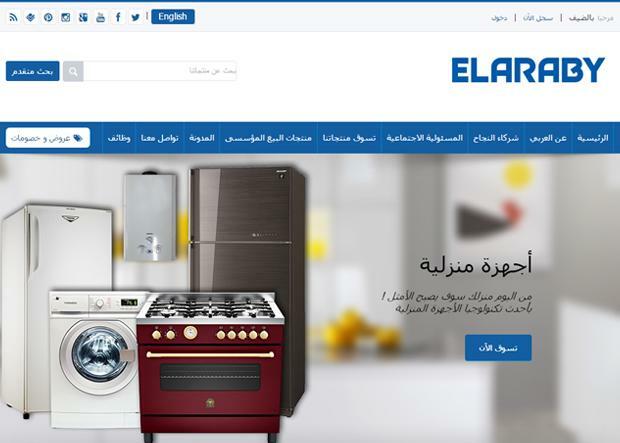 Multilingual ecommerce sites have become a norm for businesses catering to different countries or locales. But is language the only factor that influences buying decision, or is there something more behind the word “localization”? When you localize, you create a site that in terms of content, design and functionality is adapted to the needs of customers from certain countries and cultures. So it’s definitely more than just translating the site interface and product copies into required languages. 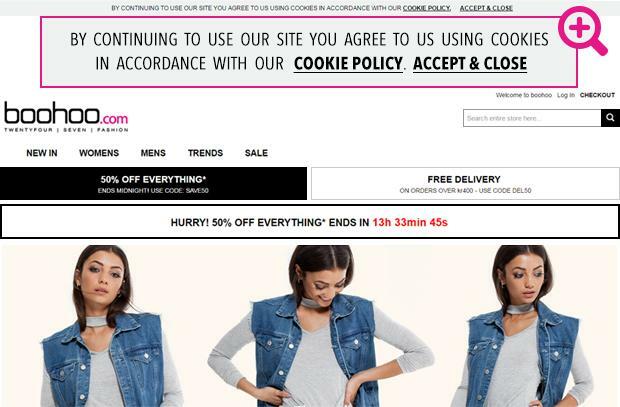 Translating the site may be enough when you target online shoppers from one cultural field (e.g. Ukrainians and Russians), but even in this case it’s still advisable to localize the messages to make sure you are in line with the audience and local law. However, localization most often requires additional Magento design and development work in order to adjust the site to be more country-specific. Before we dive into Magento localization ins and outs, let’s have a look at some statistics that may justify the efforts for your online store localization. 72.4% of worldwide consumers emphasized that they prefer to use their native language when shopping online. 52.4% customers buy only at websites where the information is presented in their language. 56.2% of customers confessed that having information in their native language is even more important than the price. Considering robust Magento localization capabilities and tons of extensions, language packages and other solutions out there, optimizing your Magento site across different languages and cultures won’t be a problem. But it may be time-consuming and potentially expensive, so it’s important to develop a proper localization strategy from the very beginning. In this piece, we will give you a basic localization checklist and recommendations on how to adapt a Magento site for multiple markets. Please note that you do not need to do everything we cover in this article at once. If there is not so much room in your budget, start small and add changes to the extent possible. The bare minimum required to localize the site is to add translations. Luckily Magento is great for the job — its multi-store functionality allows to run multiple stores under one installation and each store can be translated into its own language. We’ll try to explain how the mechanism works. Say, you have an existing US Magento store and plan to expand to German and Norwegian markets. First thing you have to do is create two additional Store Views for each country. The math is simple: one language requires one Store View creation. Within Magento multi-store concept, Store View level is the level where languages, currencies and designs are applied. After the multi-store is created, you have to add translations. To do so, you or your Magento developers have to install so-called language packs — in our case German and Norwegian — downloaded from Magento Connect. Keep in mind that localization packages are standardized and do not include translations for website-specific elements and functionality (widgets, blocks, extensions etc. ), so once you have installed the localization file you’ll need to manually correct not translated pieces of text with the help of in-line language translation. Alternatively you could use language files prepared by you or your staff that already include all the required translations. Since Magento is one of the most popular shopping carts, there are also several Magento localized editions available on the market. These localized editions not only have certain language packages installed, but also include a set of extensions and settings for each market. A good example of market-ready solution is the Localized Magento Edition created for German, Austrian, Swiss, French, Italian, Spanish, Polish, Romanian and Russian markets. And finally — currencies. They are easily configured in Magento admin panel. Bear in mind that default currency as well as local domains are set up on the website level. It’s not a big deal, but it will impact the structure of your multi-store: instead of creating just Store Views you will need to create a Website → Store → Store View for each language version of the site. You can read more details about it in our case study. However, language packages are not supposed to translate dynamic or product content — you need to translate and add it separately. Hire a professional translator that understands your products and the industry to translate the required content. Ideally, it should be a native copywriter who will write original copy that reflects local preferences — the effort is well worth the investment. 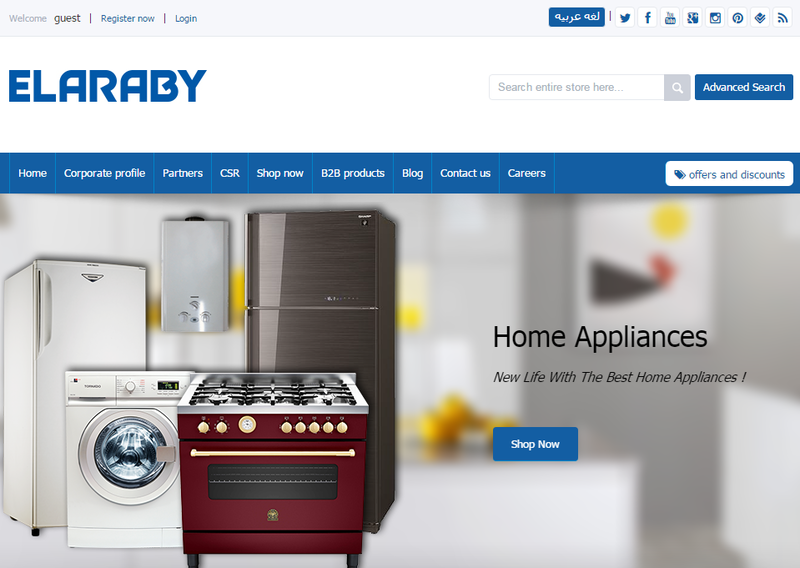 Because of cultural differences and designing preferences, the results of websites may differ from country to country: a site that works well in India might appear too colourful to Scandinavian online shoppers who prefer a more minimalist look. It doesn’t necessarily mean completely redesigning your site — use a global design template but make some tweaks to it to meet expectations of the target market audience. It’s also very important to research the languages you’ll include since it may significantly impact the layout of the site. Such languages as German take more space than English, Asian languages indeed are more space-saving not to speak about Arabic and Hebrew that are written right-to-left and change the direction of the layout. If customers can’t find payment or shipping services they are used to, the risk that they will abandon your site is very high. You should offer payment and shipping solutions that work in your target countries. For example, Germans prefer to pay through ELV and direct debit, a significant percentage of Scandinavians — by cash on delivery. Speaking of payment gateways: Klarna is very popular in Nordic countries, when Germans prefer Payone. The same story with shipping services: So Colissimo is the favourite one in France, DHL is the choice of Germans. 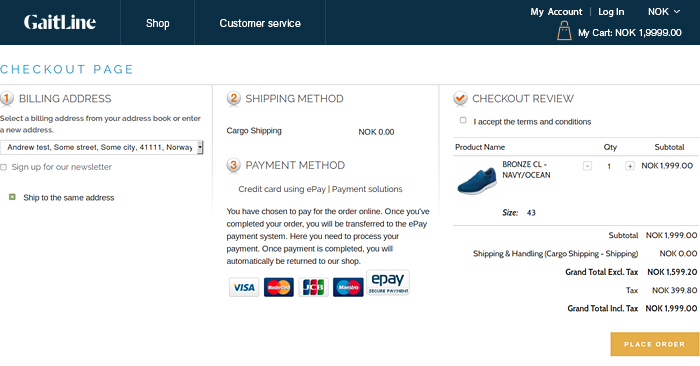 In some cases it makes sense to have separate checkouts for specific countries or regions as we did it for Gaitline: customers located in Norway, Denmark, Sweden are automatically redirected to Klarna Checkout, whereas the rest of the world sees Fire Checkout.Some payment providers even developed region-specific checkout solutions for Magento with the purpose to improve checkout rates. Klarna checkout is a good example of such a solution. 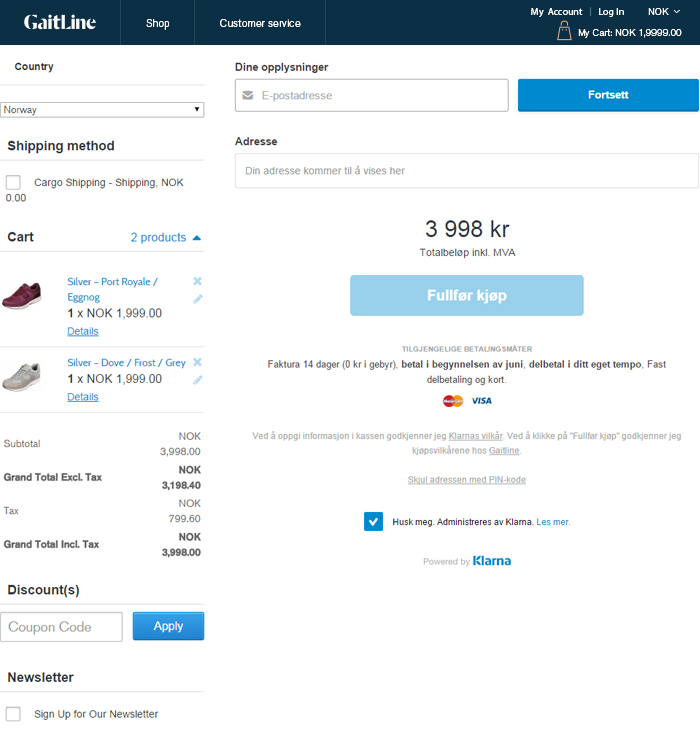 It does not only include integration with Klarna payment gateway but also offers improved one-step checkout design created specifically for Nordic countries. Asking users to “choose your country” or even worse — making them to look for the language switcher and then ask to “choose your country”, takes visitors one or two too many steps away from shopping and viewing products. Geo-targeting is a good way to reduce the amount of those steps. Essentially, geo-targeting is a way to determine geolocation of your visitors and automatically show storefronts in the language of their countries as well as optionally display local currencies, prices, offers etc. There is a wide range of IP-geolocation extensions for Magento (e.g. 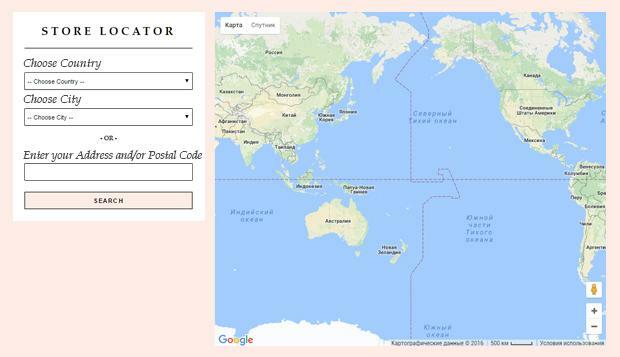 Currency Switcher, Language and Currency switcher, Country specific products, GEOIP Store Switcer), which can determine geolocations down to the city and post/zip code level and redirect customers to country or region-customized stores. In some cases, it’s better to give users an opportunity to select the language or location they want the store to be displayed. For example, for countries like Switzerland that have more than one national language. Another advantage of geo-targeting is that it may help you to carve out countries and regions you want to exclude. For example, it maybe help fight fraud: since you know where your customers coming from, you can exclude the countries with the highest level of online crime. A UK-based customer is likely to be very different from a customer located in Brazil or China. Their lives and needs are different and they will interact very differently with your products or services. Learn as much as you can about target country consumer culture and develop a collaborative approach: special prices, offerings, coupons etc. A wide range of built-in Magento marketing and promotional tools along with 3rd-party extensions will help you optimize the site to match the determined marketing strategy. When turning your site multilingual, some important SEO aspects must be taken into account in order to attract traffic to your site: country level domain, URLs, local semantics, alt tags etc. Also remember that in some countries Google is not the most popular search engine. For example, in China they prefer Baidu and Qihoo 360, in Russia — Yandex. Study specific search engines in your target markets and develop your SEO strategy accordingly. Date-pickers. In the USA the date-pickers are shown as MM-DD-YYYY, but if we look at the most European countries, the date looks like this DD-MM-YYYY. Make sure to consider this when building your Magento site. Calendars. In the USA the week starts on Sunday, in the UK on Monday and on the Maldives on Friday. Local social media options. If your product marketing strategy involves social media usage (social login, sharing, promotions), do not forget to link your site with local social networks (e.g. YouKu, Weibo for China, Hyves for Netherlands, vKontakte for Russia etc.). Store locator. If your business has physical locations, it’s a good idea to automatically display the contact details of the stores closest to your customer or at least give them ability to select a store they want to buy from. Market-specific customer care. Customer preferences in different communication channels vary by market (email, online chat, call back etc.) It’s important to understand the ways your customers want to interact with your company and incorporate it on your site. Local trust marks. 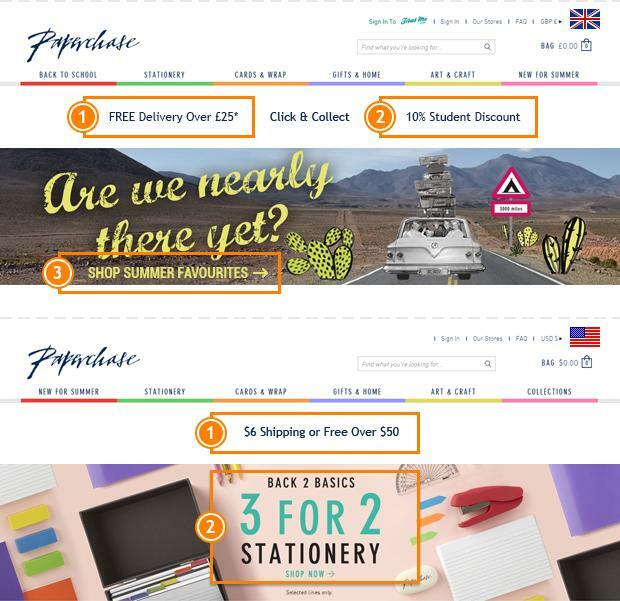 Trust marks offer some form of reassurance to first time shoppers and are especially effective for small online merchants. Trusted Shops, European Ecommerce Trustmark or any other solution — select those that really work in your target region. This list with suggestions is far from complete, but it’s high time to stop before you run away with the thought that those guys from Magecom are crazy localization fanatics. So we will end this article with a basic checklist you could check up against before your multi-language online store is launched. Happy localization! Company branding, designs and logos are appropriate for target audience. Your site is properly translated and doesn’t have mistakes. The content is localized and reflects target audience preferences. All the multi-media is localized. The site complies with country-specific regulations. Target market currency is supported. Local payment methods are supported. Local address and contact points are added. Local time zone is supported. Correct number formats for target region are used. Units as length, area, volume, temperature, mass and weight are displayed correctly. Target language keywords are added. URL structure includes target language keywords. What to Consider When Planning a Magento Store?